Hi, I'm Dawn. I started writing stories about personified pencils, typewriters, and skyscrapers when I was 10. Now, I write poetry and nonfiction while running and walking, sitting in cafes, and yes, in my living-room hammock! 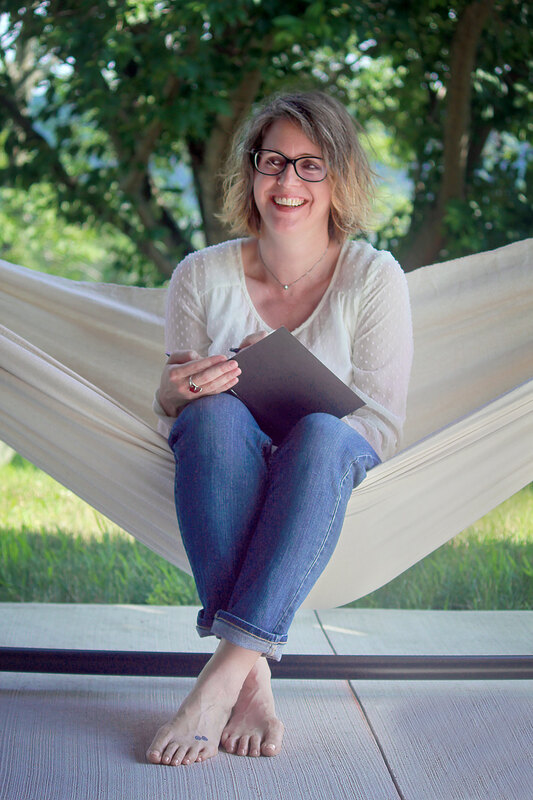 I’d love to share my course offerings, writing tips, and more with you in occasional emails. Sign up now, and I’ll send along a haiku written just for you! My online writing groups offer a community space for creative people who encourage and inspire each other to transform writing dreams into reality. Are you looking to begin or kick start your writing practice? Are you looking for a welcoming space to explore the craft of writing? Now’s the time to join in. Contact me for more details.